Swingin' at the Shell - Think Music. Think Albion. 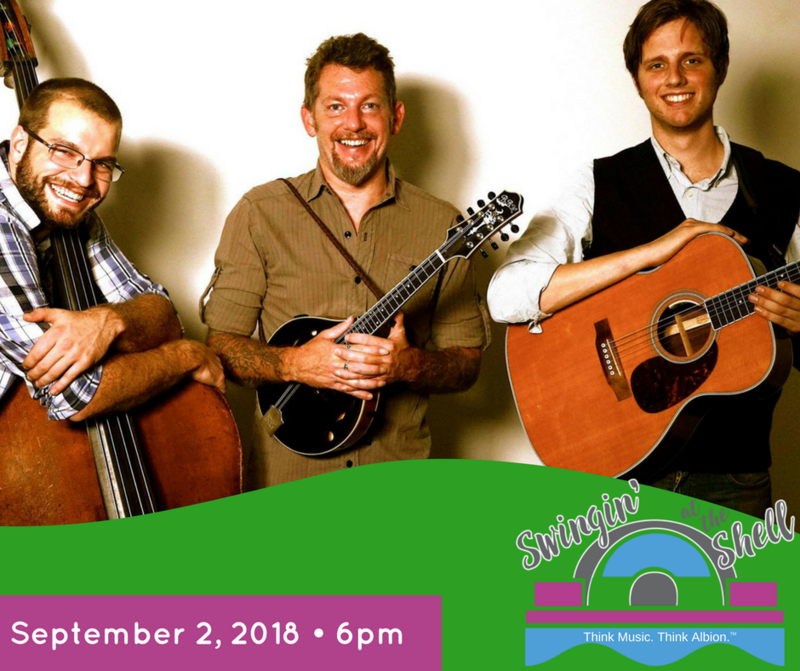 Swingin’ at the Shell is an annual series of FREE music concerts, held each Sunday during the summer at 6 p.m. in beautiful Albion, Michigan. Come out and enjoy a wide variety of sounds including Jazz, Soul, Rock, Brass, Big Band, Celtic, Piano, Funk, and Blues. The Victory Park Band Shell has plenty of room for you and your friends to have a great time, next Sunday! Check the schedule below for specific dates! It has become a tradition in the past few years to have a tribute act once a season and this year we’re looking forward to Lookin’ Back! As one of (if not the best) Bob Seger tribute bands in the country, Lookin’ Back will close out another great year of Swingin’ at the Shell. Don’t forget, as part of the festivities for our last concert for 2018, we will be serving hot dogs, chips, and drinks in celebration of our 15th anniversary hosting the summer concert series. It’s also a way to thank our generous sponsors and attendees throughout the season who Think Music Think Albion™. 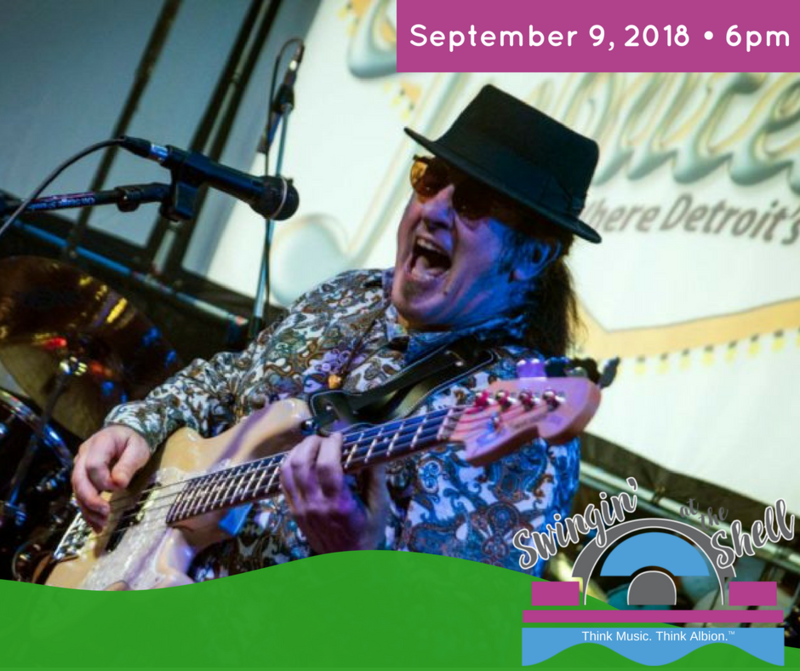 Lookin’ Back is comprised of seven world-class Detroit-area musicians united in their effort to keep the music of Bob Seger performed at its highest level. It’s a treat for concertgoers who profoundly identify with Segar’s music, and a tribute to his poetry, energy and vast catalog of hits spanning five decades. Performing with original Silver Bullet Band members Alto Reed & Charlie Martin on four separate occasions in 2011/12. Entertaining an estimated 100,000 fans at Howell’s Balloon Festival, and for 7,000 who specifically came to watch “Live Bullet Lives Again” at Pride In Saginaw. Turn the page with us for this great season finale at the Victory Park Band Shell at the usual time, 6 p.m., on Sunday, September 9, 2018. We’ve had a number of requests for a bluegrass act for years, and haven’t found the right group to fit the bill until now. Enter Thunderwüde, a bluegrass trio out of Chelsea, Michigan. Their tight melodies and tantalizing compositions of original music, bluegrass standards and modern classics are beginning to make them somewhat of a local legend. Not surprisingly, it didn’t take us long to sign them up for this year’s concert series after checking out both who they’ve shared a stage with and how fun their online videos are. Check out their Facebook page to see what these guys are all about! One of the coolest things about researching a group before a performance is seeing where they’ve performed. Not only has Thunderwüde keep a busy local schedule performing around Chelsea and Ann Arbor, they’ve also played the iconic Bluebird Cafe in Nashville, the Canal Street Tavern in Dayton, Ohio, the World Cafe Live in Philadelphia, the Bijou Theatre in Knoxville, the Big Top Chautauqua in Wisconsin, and The Birchmere in Alexandria, Virginia. Thunderwüde will make a Sunday to remember. So, Think Music Think Albion™ and give a listen at the Victory Park Band Shell at the usual time, 6 p.m., on Sunday, September 2, 2018. When we go about planning our annual concert series, we look for groups that can both fill the bandshell stage with their presence and project to the incredible lawn were the crowd sits. As you can imagine, any stage can be a lonely place, but the large Victory Park bandshell stage and lawn can be a mighty void to fill if you’re going solo. Maybe that’s why singer/songwriter/artist Kevin Nichols is bringing his band Blue Tuesday along for the ride. Well, we’re definitely not blue about having Kevin and his band performing this year. It’s another great reason to Think Music Think Albion™. Kevin is a singer/songwriter/guitarist from Napoleon that not only gigs constantly, but has also been a participant in the International Blues Challenge in Memphis, Tennessee. While researching Kevin for this post, we discovered that “this guy” must be the busiest act we have in this year’s series. It takes you a moment to scroll through all the shows he has lined up throughout the next few months. He is a guy who loves to perform and please audiences. 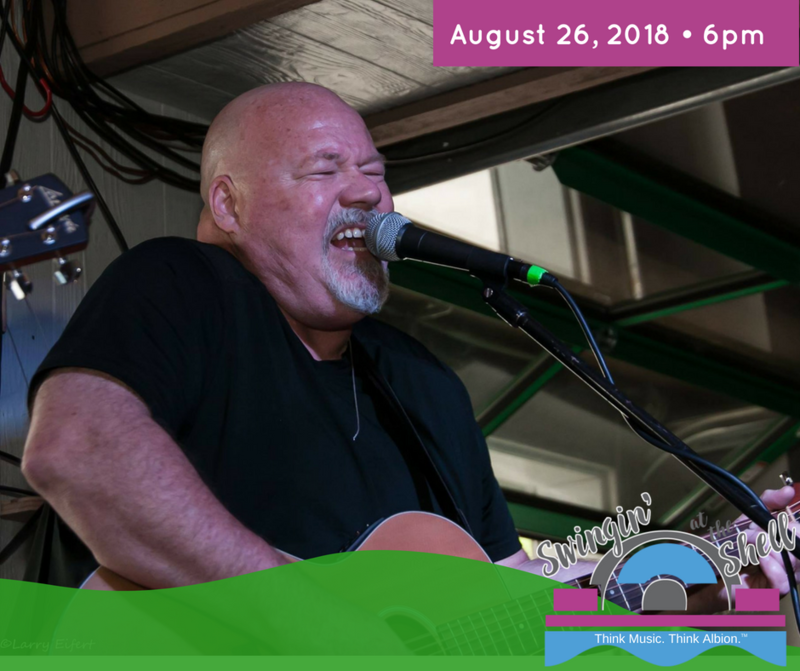 You’ll find Kevin and his great presence performing with his band Blue Tuesday at the Victory Park Band Shell at the usual time, 6 p.m., on Sunday, August 26, 2018.